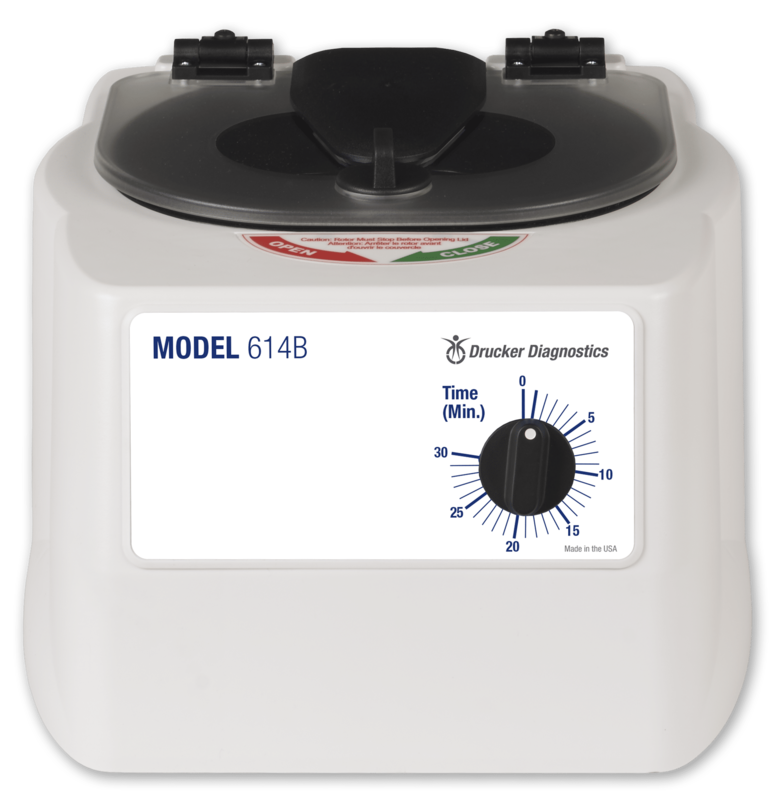 The Model 614B centrifuge provides runtime flexibility and fixed angle processing at an affordable price. With a single g-force setting of 1,100 xg and an adjustable mechanical timer from 1 to 30 minutes, there is no need to select from a variety of complicated options. The 614B provides error-free chemistry and coag spins, every time. This unit is ideal for doctor’s offices, small clinics, laboratories, and anywhere specimens are analyzed on site. Fixed-angle centrifuges produce gel layers that may be susceptible to rupture during transport. These damaged samples must be re-centrifuged – a process the CLSI does not recommend due to its known negative effects on analytical results. For better gel layer formation, especially for tubes that will be transported, please consider horizontal centrifugation with the Model 642E or HORIZON series. Can I install a horizontal rotor into the Model 614B? Although you can physically install a horizontal rotor into the 614B, it will not obtain the specified speed. A better choice of centrifuge would be either the Model 642B or the Model 642E. Both of these centrifuges have a horizontal rotor already installed. Drucker Diagnostics recommends that the centrifuge be calibrated every 2 years or 5,000 cycles. What should be used to clean and disinfect the Model 614B?